Sadly, this applet is too outdated to work reliably with wordpress. Here is a screen shot of it though! 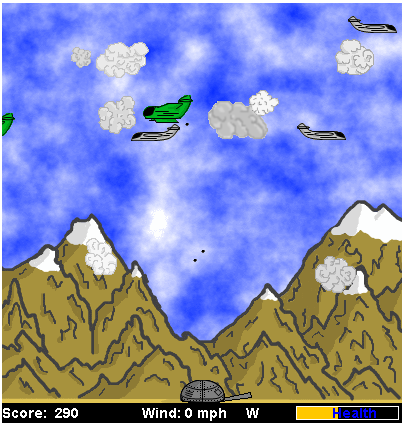 The basic idea was to defend yourself from ever increasing waves of bombers, and when you ran out of health it was game over.